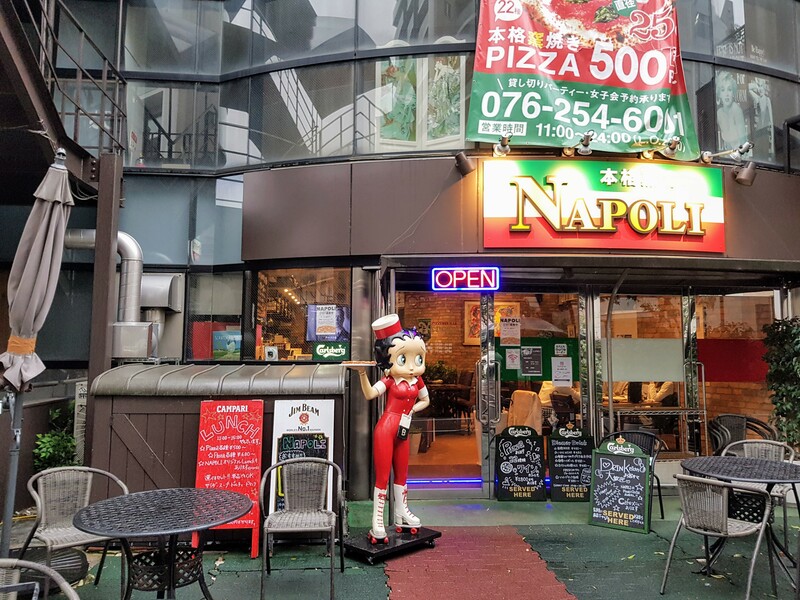 A pizzeria on the ground floor of a capsule hotel baking Napoli style pizzas. You can get a Pizza Margherita or a Pizza Marinara for ¥500. There are also reasonably priced pasta dishes, salads and tapas. Beer and wine is available from ¥480.